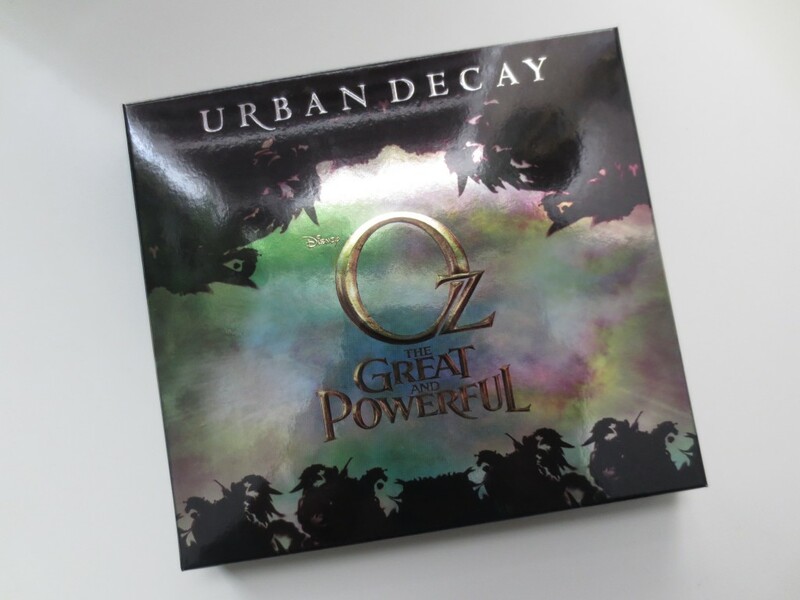 (CLOSED)Urban Decay Wizard of Oz Theodora Palette Giveaway! If you didn’t pick this palette up when it came out earlier this year here is another chance at it! Please use the Rafflecopter tool below to enter and win! Eyeshadows: Broken (pale cream satin), Beware (warm brown matte), Bewitch (dark charcoal brown satin), West (deep metallic brown), Spell (2 shades in 1: black satin w/green and gold shimmer and gold metallic w/tonal glitter) and Jealous (2 shades in 1: pale green pearl and dark green pearl). Eye Pencil: black. Lip Color: Theodora (bright red cream). 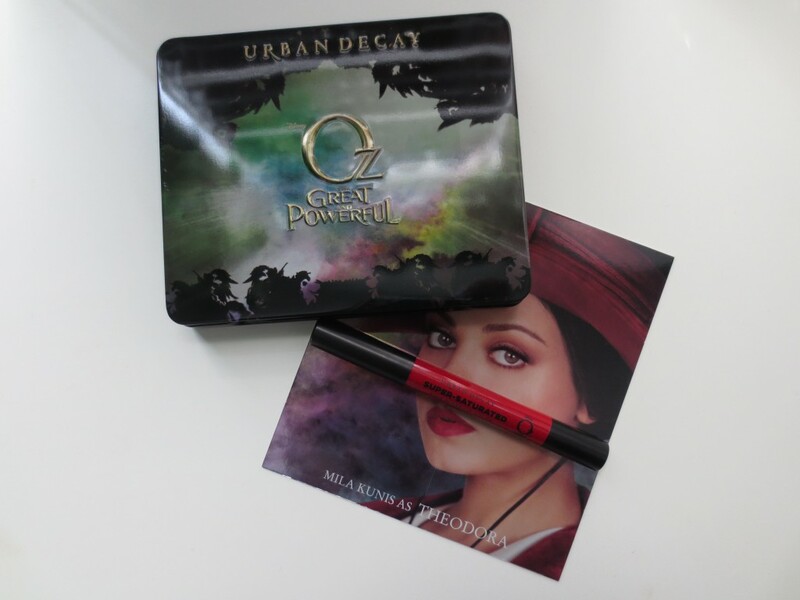 This $49 palette is out of stock on the Urban Decay website and getting harder and harder to find so enter and win this pretty palette and beautiful red lip color that comes in the box! This giveaway is open to everyone, I must say the International readers are on a winning streak lately! I’ve mailed prizes to Australia, Russia, Canada, India, and Brazil in the last few months! I love Inglot’s sleek design and the way the palettes slide open. Urban Decay wins for the fun factor, though! 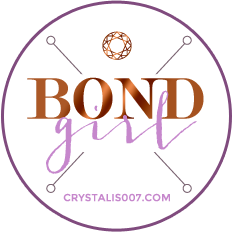 Thanks for the giveaway, Crystal! I love urban decays packaging ! I love the way Urban Decay advertises their products! So chic and stylish!! I love packaging for Urban Decay, Benefit and Too Faced! Urban Decay and Benefit have really cute packaging! 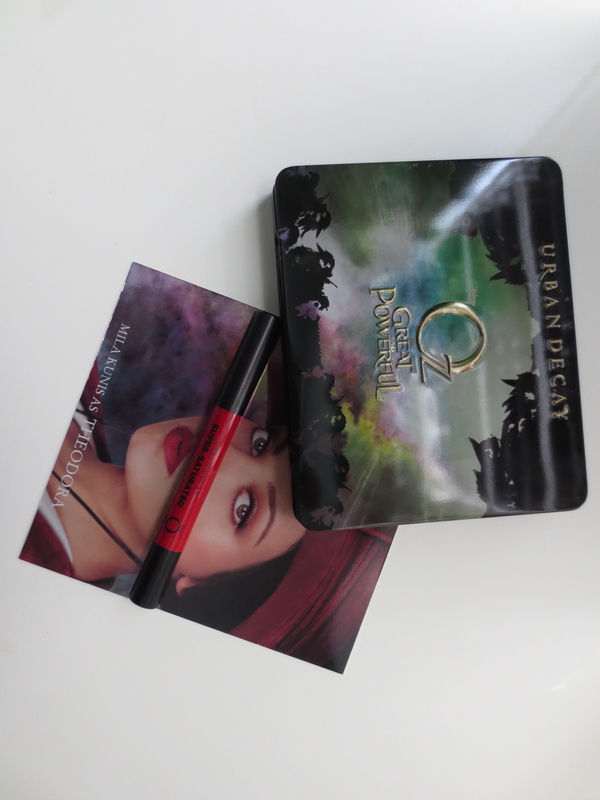 Thanks for doing this giveaway, I’ve been dying to get my hands on one of the Oz palettes! I would say PIXI or theBalm. Too Faced has to have my favorite packaging, by far. This is a BEAUTIFUL palette! and awesome giveaway!! and I like Revlon’s packaging! I love UD!!! Best brand out there! Tough one….maybe Lime Crime! I love pink! guerlain has the best packaging but they are very expensive. I love the simplicity and elegance of Chanel. I think Urban Decay is always unique. When it comes to palettes Urban Decay has the most decorative packaging, and the Maybelline Color Sensational lipstick packaging is one of my most favorites. I like NARS packaging the most for overall, but like Urban Decay’s eyeshadow palette packaging the most for originality. Your giveaways are always amazing, thanks for the opportunity! I like Urban Decay packaging they always come out with something fun. I really like NARS….except for when it starts getting dirty! I love the YSL packaging! So gorgeous. Pretty colors. I love their lip pencils. It is so moisturizing. I love Benefit! Their products are so retro and cute! I’ve always loved Urban Decay packaging. I like WnW’s eyeshadow because of the clear window but Tarte’s blushes are color coordinated and very cute too! I think I’m gonna have to go with Urban Decay. And I like Inglot’s palettes. So sleek. I like Urban Decay’s because its always fun. I like the Balm because of their play on words and I love how chic Chanel, Dolce and Gabbana and Dior look getting pulled out of your purse. ‘the balm’ packaging is unique and cute. I love Korres packaging, it’s so unique! I looooove Illamasqua’s packaging! It’s just so sleek and chic! I love love love the packaging on Lioele!! Definitely Urban Decay has the most beautiful packaging, i like tarte packaging as well. Thank you Cristal! I like Laura Mercier’s packaging. It’s simple and chic. I absolutely love how cute Benefit’s packaging is! NARS, TooFaced and Urban Decay packaging!! Red lips are not my thing, but I LOVE the shadows. Thanks so much Crystal!!! Urban Decay has the best, especially with the Book of Shadows collections. Very creative. I think Benefit has the most beautiful packages! I love Giorgio Armani Packaging!! I LOVE urban decay packaging…it’s always so cute and enticing!!! I like Mac’s regular packaging. Sleek and no frills! For drugstore I like NYX’s packaging. My favourite high-end has to be the balm. They always have the cutest/funniest palettes and packages! I love the package of The Balm products! I love Too Faced packaging, very cute! Awesome giveaway! I love the packaging of Urban Decay products and Benefit products, both of which I don’t own but love the packaging of.. I am an international subscriber. Hopefully I am the next winner! Urban Decays limited edition stuff is awesome! 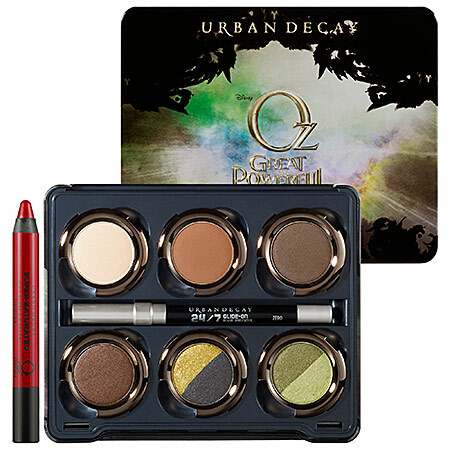 I love both those Oz palettes. OMG! I forgot the Lorac Eye Candy box. I just cant bring myself to use that one. Soooo cute. High End: I love Urban Decay and Bare Minerals packaging. Drugstore: I really like Rimmel’s packaging. Some of Wet N Wild’s packaging is nice also. benefit has adorable packaging, and so does the balm. super cute. This is a beautiful palette! Thank you for the giveaway! I think UD has the best packaging! I have loved Urban Decay since they first started as a company! They have always been so edgy! Urban Decay ~ especially the Revolution lipsticks ~ feel good in the hand. Weighty and substantial. I love Urban Decay and The Balm’s packaging. They’re so cute and you can tell they put a lot of thought into it. Too Faced’s packaging is so cute! Etude House and Tony Moly. The Asian brands rock at super cute packaging! I like the Urban Decay and Etude House packaging. I like the packaging for Miliani and ELF. I love The Balm Packaging..it is cute and trendy! To me I like Maybelline’s packaging. I really really wanted this when it came out, but it was just too expensive for me at the time! So glad your doing a giveaway on this, very awesome of you! theBalm has the best packaging, so witty! Benefit, flower beauty, and UD! I think MAC has the best packaging. OMG I have been trying to get this palette forever! I love Urban Decay’s packaging! They are so creative but keep it classy. For me, it’s a too up between Tarte and Sleek Makeup. I do not own this product yet but YSL lipsticks have nice packaging.Its so chic and classy. I like loreal packaging. I’m drawn to it every time I go to target. MAC does great with limited edition packaging, but I really like Urban Decays packaging, especially for the Naked line. Urban Decay for sure although I don’t own any. Best packaging and naming of products goes to Benefit. Love Benefit packaging and The Balm…so creative. I love the designs of the Urban Decay Palettes! Sleek makeup packing is good. i love rain cosmetics packaging! It is hard to say which company has the best packaging because I like how cute Benefit’s packaging is, but on the other hand I tend to like the luxurious packaging of companies like Chanel, Burberry, etc. as well. Thanks for having another giveaway, and good luck to everyone! The Balm! Love their retro look and overall fun packaging! The Balm gets me everytime. I think Benefit’s packaging is really cute and feminine. TheBalm is cute. Urban Decay is too. And Hard Candy is third for packaging cuteness. Benefit wins best packaging by far! Oh well they all have good packaging..From the high end I have oh so ever loved the YSL packaging….It just looks royal…And as far as drugstore is concerned I love Rimmel, Lóreal and Maybelline. I have also seen some Flower products that look awesome but are too bulky for my taste. burberry. i love their sugnature packaging. In terms of packaging I think Dior is my favorite! I love packaging for Urban Decay and Benefit. I personally love benefits packaging, its all so fun to look at and their products are always great quality. I love the luxurious feel of Guerlain packaging, the Meteorites pressed powder compact is so beautiful as are their Rouge G’s. I’m a sucker for NARS packaging. So classy and neat! I’ve always loved Urban Decay packaging Thanks! I like tarte…..urban decay and the balm packaging all unique. I adore benefits adorable packing, but I also really like the earthy feel about tarte’s packaging hahha makeup packaging just makes me so excited!! Im a sucker for pretty packaging!! My all time favorites are Too Faced and Urban Decay!! I also really like Benefits packaging! I can’t decide between Urban Decay or Benefit. I may have to go with Urban Decay because I was so in love with my Alice in Wonderland palette years ago. OMG Crystal!! What an amazing giveaway. Thanks so much for offering us another great palette. I love UD and Tarte packaging, they’re both very creative and unique. Thank you fr this beautiful giveaway! I Love Milani and theBalm Cosmetics Packaging. I think the balm and too faced have super cute packaging. I love YSL’s packaging! For drugstore, I think Revlon (usually) has nice, clean, sleek packaging. I love Too Face and the Balm packaging !! I love Dior packaging, and Hourglass. The Best for me : Urban Decay!!! I love NARS and Lime Crime packaging! Too Faced’s packaging is fab for me. And Urban Decay has really cute packaging. I love Urban Decay and the Blam packaging! I really like the little extra Urban Decay put into their packaging. Urban decay packaging is fun but too busy in your makeup drawer. I likeNars for a simple uniform look! Nars hands down! Urban decay packaging is fun but too busy in your makeup drawer. I likeNars for a simple uniform look! Benefit, Too Faced and theBalm make by far make the best and irresistible packaging. theBalm. Love the retro and cheeky names. Especially my Matte palettes. I like the quilted packaging that revlon uses. High end I like tarte and the naked urban decay gun metal look they have going these days. I love Benefit’s super-cute packaging and Paul & joe’s amazingly adorable ones, too! I think that Too Faced has the best! this palette is amazing! you always do the best giveaways! Urban Decay’s packaging is wonderful, I think. I really like the packaging from MAC! Thanks for this awesome giveaway!!! I love Illamasqua’s packaging – very sleek yet unique. I love Urban Decay & Benefit packaging! Thank you! I really like Milani’s packaging. It’s just a drugstore brand but the packaging makes it look classy. I love MAC products ! I like Urban Decay packaging. Benefit and The Balm have the cutest packaging! I love Urban Decay! They are always fun looking and intriguing! UD, Benefit, and The Balm and THE cutest packaging! Ok ooh… Nice for fall. Love Nars packaging, sleek and simple. I love nyx packaging…. They have a lot of great products and they don’t look cheap! I like urban decays packaging! I love packaging for Urban Decay. i love etude house packaging <3 very girly & cute! According to me maybelline and urban decay have very nice packaging. urban decay by far!! also i heard that the new brand ‘Em’ has great packaging! For me it s Benefit Cosmetics. I love the packaging on LimeCrime, Sugarpill, and Too Faced Cosmetics. Maybelline is Da best when it comes to packaging . Inglot is my all time favorite!! Wishing those products. Hugs from Brazil! Urban Decay is always on point with their packaging, Benefit are great with their funny/cute tag lines. Urban Decay, Benefit Cosmetics, and MAC packages are nice. Urban Decay and Benefit Cosmetics!!! I think UD has the best eye shadow quality by far. I think Benefit’s packaging is absolutely adorable – but I prefer the way the Sleek packaging looks and how functional it is Though I’m absolutely suckered in by anything cute, haha! I love Urban Decay packaging!!! I love Urban Decay packaging! Really cute and stylish! Benefit and The balm have nice packaging. I love the packaging of Too Faced, LORAC and Urban Decay! Best packaging would be Flower Beauty or YSL. I think Too Faced has the cutest packaging but I am loving the new metallic packaging of UD. I also love the BE Ready packaging. Etude house! (: So Cute. Urban Decay because of their edgy look. The Korean brand Etude House because of their ultra cute packaging. I really like Urban Decay and the Balm packaging. I love urban decay’s packaging! Beautiful palette! I love the bottle in which the latest Marc Jacobs perfume, Honey is packaged. It has beautiful little bees adorning the bottle in shades of yellow and black. Love it! Especially the red lip color. Hey, thank you for the lovely giveaway. I like the packaging of Benefit products. For me I love Anna Sui vintage rosy purplish packaging most!!! I think Nars has the best packaging because it is sleek and small. It is not bulky or over the top. Just clean and simple. i love urban decay’s packaging! Mac and nars. They’re packaging is so smooth! I gotta say bareminerals……especially their new moxie lipsticks! Urban Decay and Benefit have really cute packaging! OMG!I have been eyeing that palette for a while. I am on a no-makeup-buy until November. But that doesn’t mean I a can’t win one (L0L! )I luv Urban Decay!!! Who is the winner ?? Never miss a post! Sign up to get free updates straight into your inbox. YCMT-On the Border Fish Taco's! New Revlon & L'oreal at BB&B!